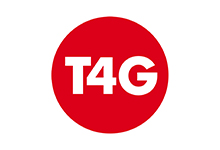 Together for the Gospel (T4G) is a biennial conference. Its purpose is to serve pastors and church leaders by encouraging them to stand together for the same gospel. T4G began as a friendship between four pastors. These friends differed on issues like baptism and the charismatic gifts. But they were committed to standing together for the main thing—the gospel of Jesus Christ. T4G is convinced that the gospel of Jesus Christ has been misrepresented, misunderstood, and marginalized in many Churches and among those who proclaim the name of Christ. Therefore, the goal of these friendships, conferences, and networks is to reaffirm this central doctrine of the Christian faith and to encourage local Churches to do the same.